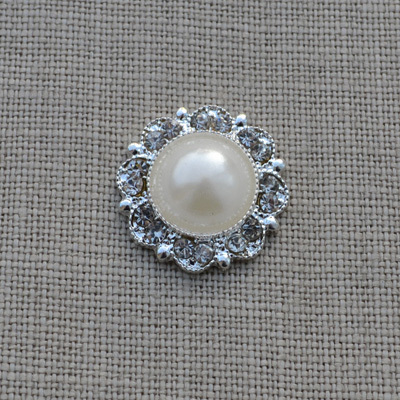 Beautiful Vintage Style Round DIY Wedding embellishment with pearl and diamante details. Great for vintage projects including, table plans,wedding stationery and favour boxes. size: 20mm, without pin on back.